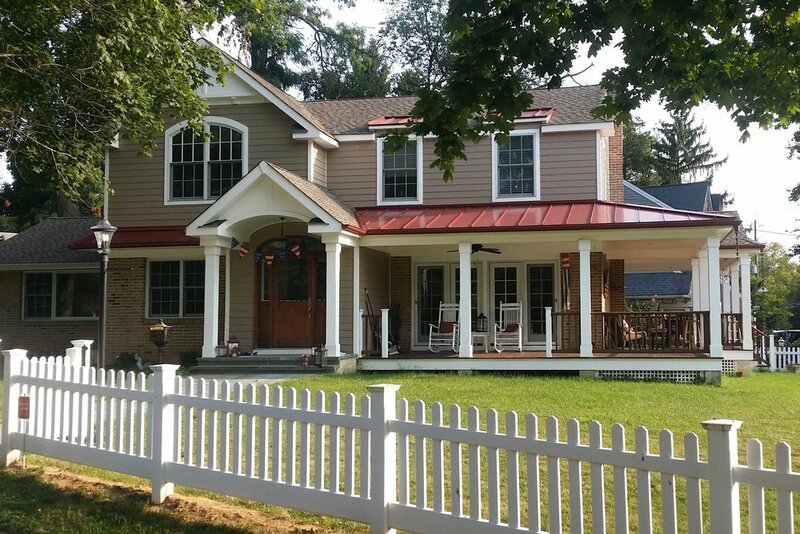 The goal of this Haddon Township, NJ additions and renovation project was very clear from the start. The client asked us to create a home that they loved driving up to by increasing its curb appeal. What better way to do that than to add space to the master suite, a great mahogany door with portico, a wrap around porch, and a shed dormer to balance the composition? Street view of the house prior to alterations.